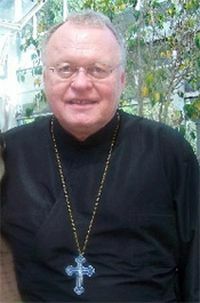 OrthoChristian.com correspondent Vasily Tomachinsky recently travelled to Boston, where he became acquainted with Clifford Isaac Gardner, Senior Administrative Manager of Research in the Division of Nephrology at the Massachusetts General Hospital and member of a number of refugee humanitarian relief missions in the Middle East. Isaac, once a Southern Baptist, is now a parishioner of the Holy Resurrection Orthodox Church in Boston. He tells Vasily about his journey to the Church throughicons. I met Isaac and Marilyn Gardner met at the Holy Resurrection Orthodox Church in Boston at a lecture on their missions to support refugees suffering from the Middle East conflicts in Iraq and Syria. Afterwards, Isaac and I sat down together in a hipster cafe, where I took this interview. In the first part of our conversation, Isaac told me how he discovered Orthodoxy. —Please tell us about your backgroundand your journey to the Orthodox Church. —My name is Cliff (Isaac in Orthodox Baptism) Gardner, and this is my background. I was raised in a Protestant Southern Baptist family. We were in the military; my father was in the U.S. Air Force. I have four brothers, a family of five boys, and we moved all over the world. We lived most our lives in America and then in Germany, where I was as a teenager. No matter where my parents moved, they always found a Southern Baptist church, including in Puerto Rico, where I was born, and Germany, where our German pastor was Southern Baptist! I grew up in Miami, Florida where my mother was from, so we moved back to Miami after my father retired from the Air Force. Miami is where I went to high school. It was when I was in the high school that I felt called to be a missionary. I wanted to be a Protestant missionary/Bible translator inIndonesia. So I went to a Bible school in Chicago called the Moody Bible Institute—a famous Bible school. I studied Bible-Theology/Greek; it was at Moody where I first started to interact with people from the Muslim world. I was very attracted to working with Muslims. I ended up going to the University of Illinois at Chicago where I studied linguistics, Middle East studies and Arabic. This is how I met my wife Marilyn. She was raised in Pakistan, as her parents were Baptist missionaries for over thirty-five years there. She went to nursing school in Chicago. She was a nurse and I was a linguist, and we met back to back in an Indian restaurant. We first moved to Pakistan in 1986 where I taught English to Pakistani government employees. Pakistan was Marilyn’s home, and we were involved in a Protestant church there. Then we moved to Egypt in 1989, where we lived for seven years; this is where I first encountered Orthodoxy. I don’t think I ever met anyone who was Orthodox before I moved to Egypt. I had an Egyptian friend in Chicago, so I had met one Oriental Orthodox person before. 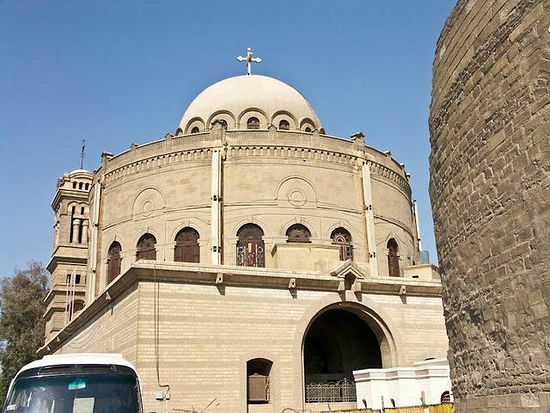 But when I moved to Egypt, I was an English teacher and I started to meet Coptic Orthodox Christians, who were very amazing and very faithful. One of my colleagues, an English teacher, was Orthodox. She was always fasting and I didn’t understand why. She said that she fasted over two hundred days of the year. And I was so surprised. I was amazed at the Coptic Orthodox faith. They are minority religion in Egypt but they have amazingly strong faith. I used to take trips to visit the monks of Wadi Natrun in the Scetis desert of Egypt. I was even able to take my students to meet with the former Pope Shenouda III. Every time I would go to the monasteries I could not believe their deep faith. All of the people in Egyptians churches go out to the monasteries for instruction, learning, prayer, spiritual information and guidance. I remember one monk from Deir al-Surian, a Syrian monastery, who said to me: “You don’t know it but you are really Orthodox.” I was sure that this was what he would say to the Protestants he liked. Abu Serga (Sts. Sergius and Bacchus) Coptic Church. Photo: Guidetrip. I remember that I was amazed by the worship, the liturgy, and the icons. The icons are very interesting in Egypt—they believe that holiness shines through the eyes of a saint, thus their saints in icons have wide, large eyes. Many times I visited a very old church called Abu Serga. It is a first century church built over the cave where the Holy Family hid from the authorities. It is still an active Orthodox church. During my last three years in Egypt, I set up a study-abroad program for American Christian Protestant students. I would take them to meet Coptic Orthodox priests and monks, who would challenge their faith. As the priests interacted with their great faith, the Protestants often found it difficult to fit this faith into their Evangelical Protestant boxes. This often created a crisis of faith. I also took my students to Israel/Palestine where I met more Orthodox—Greeks, Armenians, and Russians. I thought to myself that they were Orthodox because they were Greek, Russian, and Egyptian. I’m from the American South, so I’m Southern Baptist. I didn’t think you could become Orthodox—I thought you had to be born into it. In 1996 we moved to Boston, Massachusetts where my wife’s family was from. I worked at Harvard University for ten years. During my last four years there I was the Program Officer for the Prince Alawleed bin Talal Islamic Studies Program. Earlier in 2000, my wife and I were going through a crisis of faith, with many challenges in our marriage and raising five children. My wife knew that I was interested in icons. She introduced me to an iconographer, who was not Orthodox but who painted Orthodox icons. I took a class for ten weeks and learned to paint, or as we say, wrote icons. My first icon was of the Yaroslavl Mother of God from the fourteenth century. This experience changed my life. As you can tell, I am talkative person, but icons are to be written in silence. My instructor would give instructions, but we were not allowed to talk. My first icon was written with over fifty hours of silence. As I wrote I got to know Mary, the Theotokos. For Protestants Mary is a bit of a mystery, and we often just think of her as a very nice person without really grasping the depths of Orthodox teaching about her. As I wrote this icon in silence, I got to know Mary. I started to read everything about Mary in the New Testament, and from the Church Fathers. I felt like I was getting to know her personally. As I wrote this icon, I entered into the timelessness of God and eternity. It is hard to explain, but time is a construct and God is not limited to human time. I wouldn’t be able to explain this experience to anyone, but I remember that I would drive two to three hours after writing this icon and when I drove home, I couldn’t talk to anyone. I couldn’t turn on the radio, as the noises were too loud. In writing this icon I entered into the window of Theotokos, and my wife saw this change in my life, in my heart. 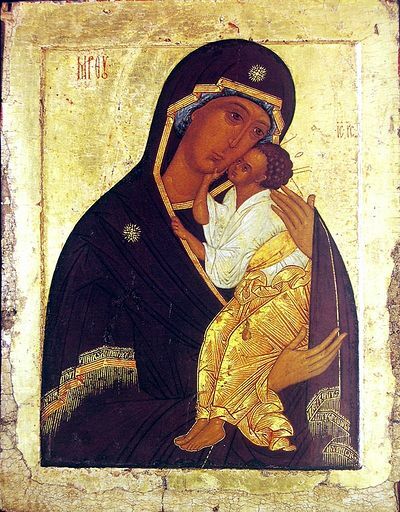 The Yaroslavl icon of the Mother of God. My heart had been softened; Mary is the softener of hearts. My heart has been so hard, and she saw this, and I was entering into this. All I wanted to do was to write icons. The Yaroslavl Mother of God icon had a seemingly simple design, but my second icon was from the School of Crete sixteenth century. It was much more complex. 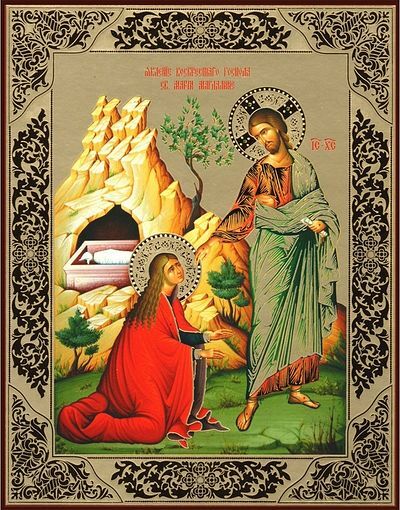 It was of Jesus appearing before Mary Magdalene by the tomb. Mary greets Jesus with the phrase, “Rabboni”, which means Teacher, and he greets her with her name. This icon has a lot of mountains and vegetation. In the icon, Mary’s hair is uncovered, as only married women have veils in icons. As I wrote this icon I got to know Mary Magdalene and Jesus. I remember that in that icon, there was a cave that needed to be painted black. It was called “thanatos” which in Greek means “death”. I must have painted one hundred layers of black and it couldn’t get black enough. I wanted it to be very black, and I just kept applying layers. The way icons are written is different from traditional painting. When you paint, you first paint light and then you add dark highlights. But with icons you always paint from God’s perspective; it had the perspective of, say, a railroad track going out from the viewer in a picture, only it goes the opposite direction. You also paint first the darkest shades, so Mary’s face is sankir green, and then you paint layers and layers of light—it’s amazing. Icons really brought me to the Church, as I loved them even more. As I worshipped, I wanted to worship in an Orthodox setting. My third icon was of the Prophet Elijah at the Cherith Ravine, but I only partially finished it. In 2003 we moved from Massachusets to Arizona for my job. When we moved to Arizona it reminded me a lot of Egypt, and I love the desert. It was in February 2006 that I attended my twenty-fifth reunion with the Moody Bible Institute. At the time, I had been struggling with worship and involvement in my Evangelical church. The church we went to Arizona was fashioned like a movie theater, where in summers the ushers would go down the aisles and hand out lemonade and coffee. It was just too casual for me. The intention of “seeker churches” is to have people feel comfortable, but it seemed so irrelevant to a lot of people—they wanted the Gospel, and not comfort. Both my wife and I were feeling these same feelings. When I went to Chicago for this reunion I stayed with an old MBI classmate who was also a professor at MBI. He lived across the street from MBI and right next to an Orthodox church. When I was a student in Moody it had been an Armenian Apostolic Church, but was always shut. I found out that the Armenians had sold it to the Orthodox Church of America under the leadership of Bishop Job and Fr. John Baker. The name of this church was Christ the Savior Orthodox Church. So, in 2006 I was with my friend and I asked him what church was next door. When he said that it was Orthodox, I was so surprised. I looked at the front of the building, and there was a sign about Orthodoxy, detailing the historical and theological line of Orthodoxy and how Catholicism had added to Orthodoxy and Protestants had subtracted from Orthodoxy. I found this very interesting, as I had never heard this concept. Christ the Savior Orthodox Church, Chicago, Illinois. As we walked by the church I looked down at the fence, and there were little children’s hands coming out the fence. They turned out to be the children of the priest, Fr. John Baker. We talked with Fr. John and he invited us to attend the Divine Liturgy the next day. I had been to over fifty Orthodox churches and monasteries in the Middle East: Egypt, Palestine, Syria, Lebanon, and Jordan, but I had never heard the liturgy in English. It had been in Coptic, Church Slavonic, Greek, and Armenian. “This was Isaiah’s vision of Heaven! I went to the service, and it was Russian style with almost no furniture or pews, just beautiful carpets where everyone stood. As they started the chanting in English, I felt like a veil had been lifted from my eyes! This was Worship. This was Isaiah’s vision of Heaven! There was the altar, the incense, the smoke, the angels and the choir singing “Holy, Holy, Holy”. I realized that after all these years I had found true worship! It was as if I were in Heaven. I felt like I had come home. After the service we went out to lunch with an MBI student but I could barely talk, as all sounds seemed so intense after that time of worship during the Divine Liturgy. When I went to my MBI reunion it was wonderful to see old classmates, but especially to meet two who had become Orthodox. One was Lynette Holm Hoppe. She and her husband Nathan had become Orthodox in graduate school and were some of the first missionaries sent to Albania by the Orthodox Christian Missions of America. Lynette wrote a history of the resurrection of the Albanian Church in Albania, post-communism. Unfortunately she had cancer and six month later she reposed. What a gift it was to learn more about her journey to Orthodoxy! So I went online and I wanted to find an Orthodox church in the Phoenix area. I ended up finding an Antiochian Orthodox mission called St. Ignatius in Mesa, Arizona. I thought that the Antiochian church would have some Arabs that I could speak to. I was welcomed whole-heartedly by Fr. James Coles and his wife, Khouria Karen and their family. He and his wife were converts from the Episcopal Protestant faith. I started to attend classes about Orthodoxy and would attend the services I could. I continued to attend my Protestant church, but invited my wife to attend St. Ignatius. She came a few times to Vespers and even part of a Pascha service but she said that they were too long and the services were so foreign. We had visited Coptic Orthodox churches in Egypt, where men sit on the left and women on the right. It seemed to fit in ancient Egypt, but not in modern day America. The first Pascha service I attended went into the early morning, and when I got home, my wife asked what had taken me so long. She also said that her feet hurt standing for so long in a service. In 2007 I was recruited to work back at Harvard University for their Islamic Studies Program. It was a gift to me as it combined my love of higher education and my passion for the people of the Middle East. When we moved to Boston I didn’t want to go to work by train, so we moved to Cambridge. We started to attend a Protestant Church in Cambridge, but I found St. Marys, an Antiochian Orthodox Church, just a few blocks away. I would go to the Antiochian service and sneak back into my Protestant church for Sunday services. I did this for about a year and a half. At this point we had a problem in our faith journeys. I wanted to become Orthodox, but my wife was not interested. I was less and less satisfied with the Protestant church. My son, Jonathan (now Ignatius) describes it well. He says: “Protestants have a strong aversion to the Pope, but every Christian in the Protestant church is a pope, a little pope, because we make our own decisions by reading the Bible.” There is little spiritual accountability in the church. The way to describe it is like wading in shallow waters instead of deep sea-diving. In Egypt, there are two large bodies of water. 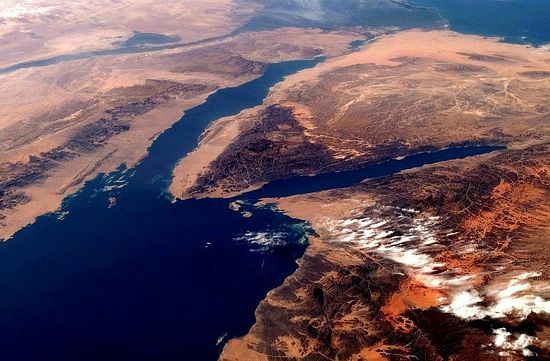 There is the Suez Canal that is around 400 feet deep, and on the other side of Sinai is the Gulf of Aqaba that is around 4,000 feet deep. It is part of the Great Rift Valley. On the surface they both appear the same but the depths are vastly different. As I started reading more Orthodox books, I felt like I was diving deeper and deeper into faith. —How did you become parishioner of the Holy Resurrection Church in Allston? —I learned about another Orthodox church in an area of Boston called Allston. 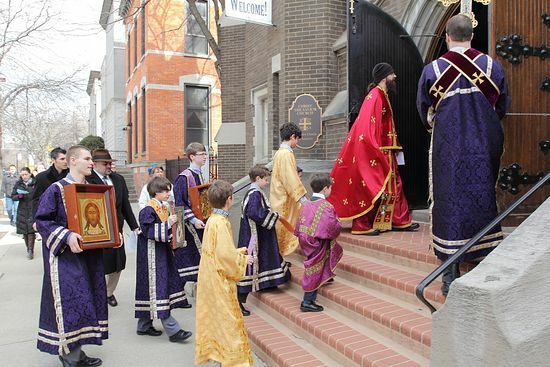 It is called Holy Resurrection Orthodox Church, a parish of the Bulgarian diocese in America. My oldest daughter Annie lived a few blocks away and told me about it. Once a year this parish would have a large yard sale and many students would come and buy clothing and furniture. After that I started to attend Holy Resurrection and I loved it. Father Patrick and the people of the parish were very welcoming. The parish is half American & European converts as well as cradle Russians, Romanians, Greeks, Macedonians, Bulgarians and Serbs. At one point my wife said: “We can’t be going two separate ways with me as a Protestant and you as Orthodox.” I was still reading Orthodox books and had icons in our bedroom. She commented that one can have too many icons! So I made the decision to stop going to the Orthodox church as it was creating a rift in our marriage. For two years I stopped attending any Orthodox churches. We have five children born on three continents. When our middle son Micah got married in Chicago, we were so happy for him and his new bride, Lauren. Unfortunately, after their wedding her father learned that he had various cancers in his body and would die within five months. During this time my wife and I had a serious talk and asked each other what we would do differently if we only had a few months to live. She said she’d move to the Middle East and I said that I’d become Orthodox. She was surprised that that was my last wish. I told her that I wanted to finish my life journey Orthodox. We continued going to our Protestant church but felt progressively dissatisfied with the structure and casualness of it. She told me one day that she thought we need to go to Holy Resurrection and see where God would lead us. I was so surprised and happy. in the Holy Resurrection Orthodox Church, Boston. She had come to Holy Resurrection a few times and had met Fr. Patrick, but all of this was so new to her. It was like visiting a foreign country. We started to attend while our youngest son Jonathan was studying at Oxford. As we attended, people were very welcoming from the parish. We began to attend the weekly Orthodox 100 class for those interested in Orthodoxy. My wife had a lot of questions! My wife is a very brilliant person and has written a book called “Between Worlds” about cross-cultural communication and challenges for those people living in third world cultures. She has a blog called “Communicating Across Boundaries” that has had almost one million hits. She has been writing since 2011 and has readers from all over the world. She started to write every Sunday on her blog a series entitled, “The Reluctant Orthodox.” Through this series she has been able to articulate her ideas, skepticism and questions about Orthodoxy, especially from a Protestant perspective. She had questions like: Why are we always standing? Why does the priest say, “Let us depart in peace,” and yet twenty minutes later we are still in the service? Why are people kissing everything? Why is Mary, the Theotokos so revered? She was able to process many of these questions with Fr. Patrick, who answered them with grace and wisdom. —Has your coming to the Orthodox Church had an affect on your children? —Our youngest son came back from Oxford where he was studying Philosophy in Literature. He has a brilliant and searching mind. We invited him to Holy Resurrection. He really enjoyed the a cappella chanting and became mesmerized by it as a musician. Later that month he had a radical conversion; he came to the icons in my bedroom and surrendered is heart and mind to God. And he was converted. He came to us and said that he too wanted to become Orthodox with us. So the three of us became catechumens around Pascha of 2013. We experienced a whole year of an amazing catechumenate as people spoke into our lives. We got more involved in our parish and drew deeper and deeper. 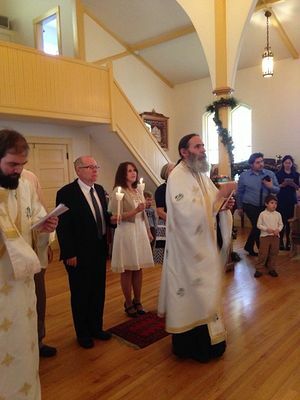 So on Great and Holy Saturday in 2014 we were baptized and chrismated, and became Orthodox. Our son actually did this before us, on Lazarus Saturday. My sponsor was Aaron Friar, who was in our parish; he and I had very deep conversation for many years and Paula, Fr. Patrick’s wife was my wife’s sponsor. 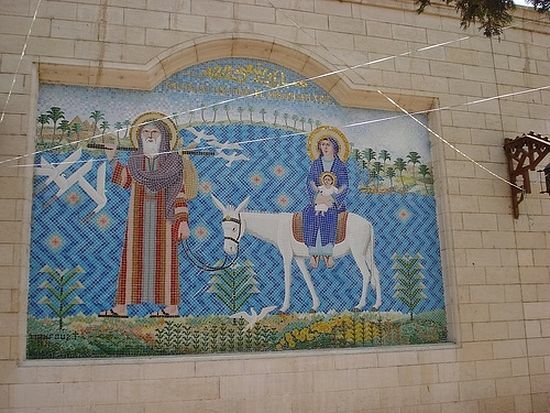 When it was time to take Christian names—I love the Middle East, and I love the saints of the Middle East—I took the name Isaac named after St. Isaac the Syrian. His life and writings are so amazing. I’ve been able to visit northern Iraq and was about two miles from ancient Nineveh (and ISIS) where St. Isaac was Bishop. I sensed his presence there. I took his name because his writings are so humbling, honest and compassionate. I need more compassion in my heart. And my wife loved the story of St. Mary of Egypt, so she took the name Maria, but she also loved the story of St. Sophia an her daughters. So she asked Paula if she could have two names: Sophia Maria, and she said, “At your age you can easily have two Christian names!” Our son took the name Ignatius after St. Ignatius the Great of Antioch. Ignatius started to study at Hellenic College in Brookline, Massachusetts majoring in Religious Studies and Classics. He is surrounded by amazing men and women at Hellenic College and Holy Cross Greek School of Theology. It has been an amazing journey! It has also been amazing for our other four children to watch this journey. We continue to pray that God would draw them to Himself, and we have prayed to various saints on their behalf. After being baptized and сhrismated, we were also given an Orthodox wedding. When my wife’s brother heard about this he said that he had married us, but we were married again? His father had baptized my wife, but she was baptized again? Her mother had named her, but she now had a new name? What was he to make of all this? We asked Fr. Patrick, our spiritual father, and he said to tell them that these were all sufficient to get us to where we were now. 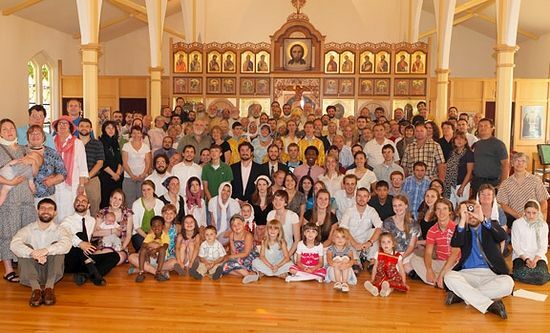 We are thankful to God for this journey, and we remind ethnic Orthodox friends and neighbors about the gift of Orthodoxy that they have brought to American shores!